Esplanade by Siesta Key is a high-end, resort-style subdivision developed starting 2013 and built out by around mid-2017, with resale Sarasota homes for sale worth watching. 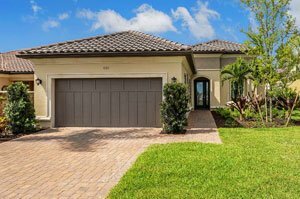 This community is a development by national builder Taylor Morrison, and it came as a follow-through of the successful launching of the Esplanade brand in a golf community at Lakewood Ranch. The site that the Scottsdale, Arizona-based builder chose this time is a 77-acre former pastureland between Stickney Point Road and Constitution Boulevard. In this template east of the Tamiami Trail, Taylor Morrison crafted a lovely community with an impressive setting of nine picturesque lakes and lush nature preserves. The active lifestyle theme of Esplanade by Siesta Key homes for sale is well pronounced in the host of amenities available in this development. The community boasts of a clubhouse flanked by masts of tropical palms, inviting with its large gathering room, fitness center, catering kitchen, outdoor grill, and a fire pit and barbecue area. A heated tropical lagoon pool and spa, as well as playing courts for tennis, beach volley ball and bocce ball, are also part of the active adult lifestyle in the resort-themed Esplanade by Siesta Key. It has its own dog park too, and two pets per household are allowed. Eye-catching with their tiled roofs and paver driveways, the single family homes in this community came in four models featuring floor plans of between 1,850 and 2,850 square feet, Designed with two- to three-bedrooms, these residences were offered with price quotes ranging from the $500s up to the $800s. These homes are of concrete block construction and flaunt spacious master suites, large kitchens and attached two-car garages. The villas likewise came in two- and three-bedroom designs within floor areas of between 1,600 and 1,950 square feet, featuring open layouts, lanais and attached two-car garages as well. At their launch, the prices for these villas were quoted starting from around the $300s. 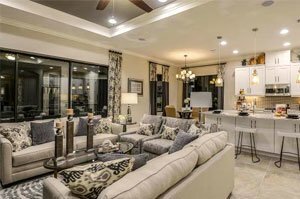 Aside from their splendid onsite amenities and superior builds, Esplanade by Siesta Key homes for sale draw buying interest because of their proximity to many of Sarasota’s points of interest. Shops and restaurants, for instance, are just nearby at the Gulf Gate Village. Four Public Super Market locations are also within easy reach from this community. The Tamiami Trail west of the neighborhood provides convenient access northward to downtown Sarasota and the myriads of lifestyle activities it offers. 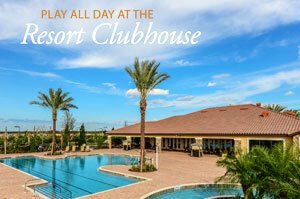 Southward, more amenities are accessible via memberships in the popular TPC Prestancia and Country Club of Sarasota which have fabulous golf courses and other sports facilities. Then, of course, there’s Siesta Key which this Esplanade community has tied its fortunes with. Just a short drive westward across the Stickney Point bridge unwraps pristine Gulf Coast beaches, yet another facet of the active lifestyle package that Taylor Morrison’s Esplanade brand offers. Below are the current real estate listings available at Esplanade by Siesta Key.